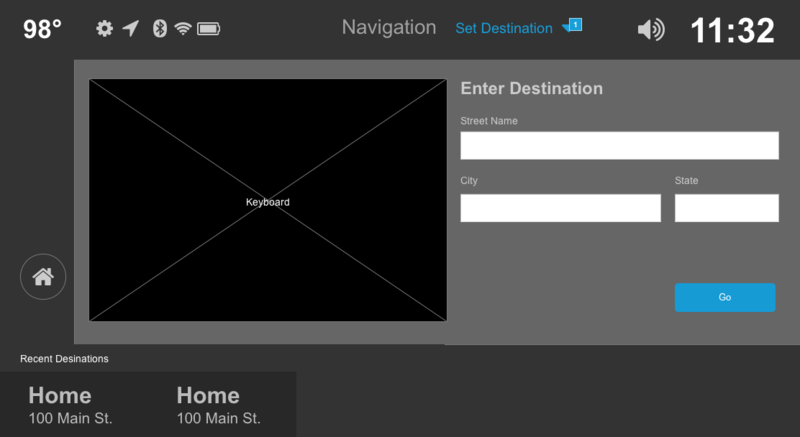 After taking a step back and looking at the overall picture, I began some wireframes of some more important features; the home, music and navigation screens. I researched a few more current cars’ interfaces like Ford Sync, Tesla, Apple CarPlay, a Subaru entry level console and the new Volvo XC90 touchscreen. 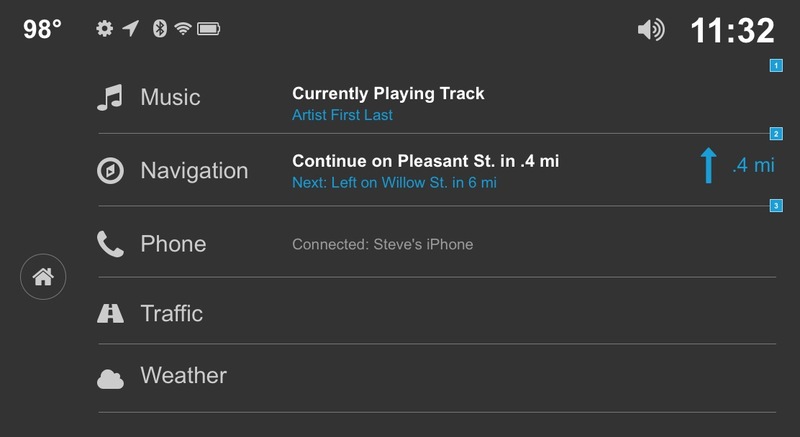 A home screen that shows live information of features in use without needing to select for basic info. A mix of Apple CarPlay and Volvo’s new interface for the XC90. 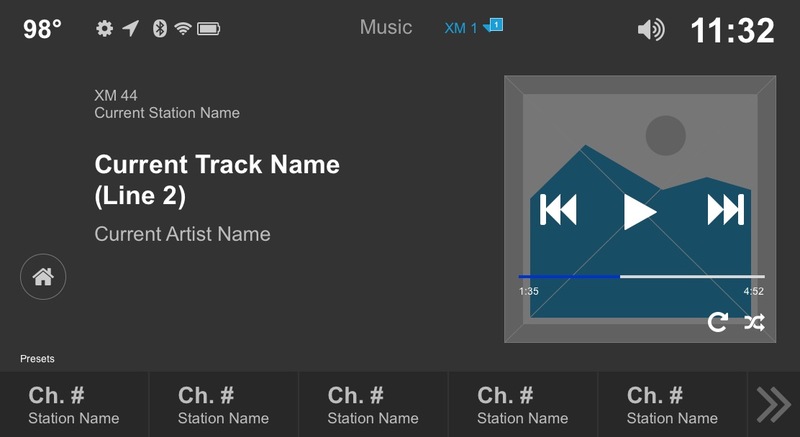 Larger text, album art and a less cluttered screen allows for information to be gleaned more easily. 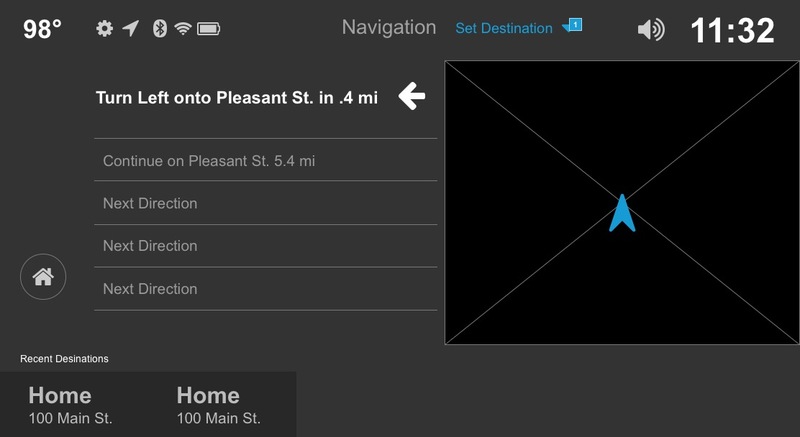 Presets are easily clickable and scrollable on swipe. 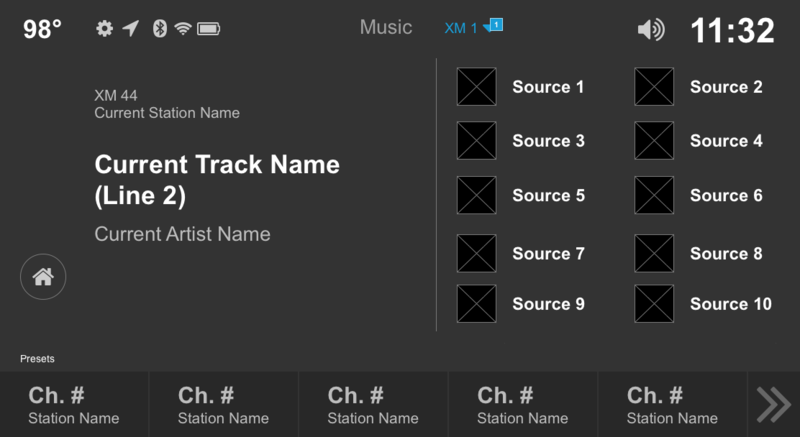 The source dropdown allows the current track info to be shown so the user knows what will play from their selection. The source selection panel can be closed the same way it was opened or will fade out after a few seconds of inactivity. A clear current map of ones location is present with the next step highlighted in white. The next few following steps are available in cases like city driving where it is helpful to know the following steps for quick turns and direction changes.